Metals such as copper are very popular in a range of industries including manufacturing, plumbing and construction. However, it can be prone to deformations when hot worked or during machining. The deformations can cause the metal to fail to keep its desired shape and impact its structure, especially during pipe bending processes. Adding zirconium can strengthen the metal and prevent deformations that can make copper weak. Zirconium is a silvery gray metal that is ductile and malleable. When it is added into copper, it has an incredible attraction to gases such as hydrogen, oxygen and nitrogen when added during the melt process. When the temperatures recah 1,500 Fahrenheit (800 Celsius), zirconium will chemically combine with oxygen and decrease the oxygen’s presence in the copper. So the copper will have less oxygen, nitrogen and hydrogen that can form putting porosity. Other properties that zirconium possesses is that it is both light in weight and very strong. It has the same strength as copper while still providing fluidity. So it can make copper more malleable and ductile when alloyed together for machining purposes. 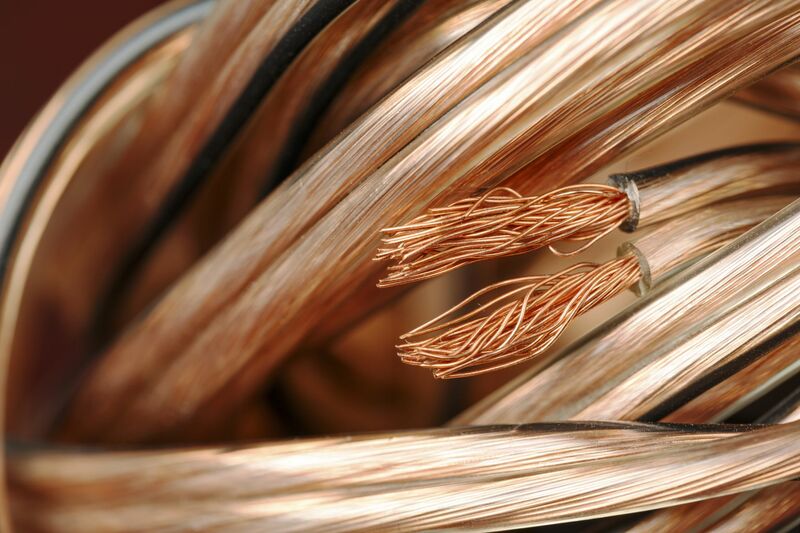 Due to the addition of zirconium, copper and other metals can be drawn into wires without becoming brittle or losing strength. Another reason that manufacturers turn to zirconium alloying capabilities that that the metal is very light. For applications where the weight of the alloy can play a major factor in a component’s operations, zirconium will not have a significant impact to the copper’s weight characteristics. Another amazing quality to zirconium is its corrosion resistance properties. It can resist corrosion from strong alkalis, mineral acids, organic acids and some molten acids. This makes zirconium ideal for alloying with other metals when you don’t want to have the metal contaminate ground water surfaces or experience suffer corrosion due to outdoor environmental elements. Zirconium’s thermal conductivity when alloyed provides other metals with more structural stability and high temperatures. In steel and stainless steel alloy, zirconium can add up to 40% thermal conductivity. It is for these reasons that many jet engines, nuclear reactors and gas turbines will have zirconium alloys placed into metal fabrication applications to resist the extreme temperatures. In addition, zirconium is preferred in nuclear reactors because it will not be affected by the neutrons. Here at Belmont Metals, our Brooklyn-based non-ferrous metals and alloys manufacturing company provides zirconium copper alloys for deoxidation purposes, as a grain refiner, and to help manufacturers improve the mechanical properties in other alloys. We offer 10% zirconium copper, 13% zirconium copper, 30% zirconium copper, 50% zirconium copper and 67-33 copper zirconium. When deciding on the right percentage of zirconium to add, keep in mind that a lower percentage amount of zirconium will provide precipitation hardening. So the alloys heat and corrosion resistance is improved. A higher percentage of zirconium will increase corrosion resistance as well as the base metal’s porosity resistance. Higher zirconium percentages will also make the metal more fluid and provide additional hot tear resistance. You should also select higher zirconium percentages when you are looking to improve the finish of components if certain aesthetical appearances are desired. Contact the technicians at Belmont Metals when you need help deciding on the right zirconium alloyed metals to select for your application. We can provide further insight so you have greater success when making products and components using this versatile metal.